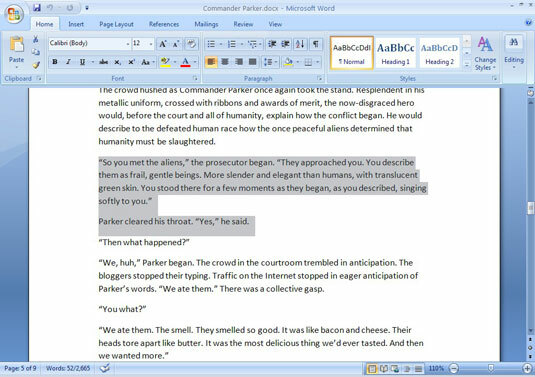 To move a block of text in Word 2007, you select the text and then cut and paste it. This process is similar to copying a block of text, except that in the second step, you choose the Cut tool rather than the Copy tool. 2On the Home tab, choose the Cut tool from the Clipboard group. The Cut tool is the top tool on the right side. 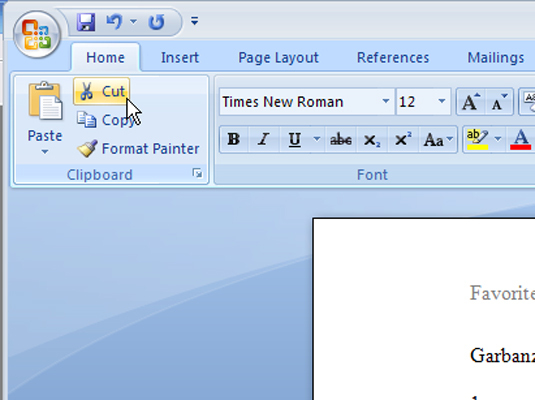 3Click to place the insertion pointer in the spot where you want to paste the copy. 4Choose the Paste tool from the Clipboard group. The block of text that you cut is pasted into its new home. You can paste the block into another document you’re working on, or even into another application.